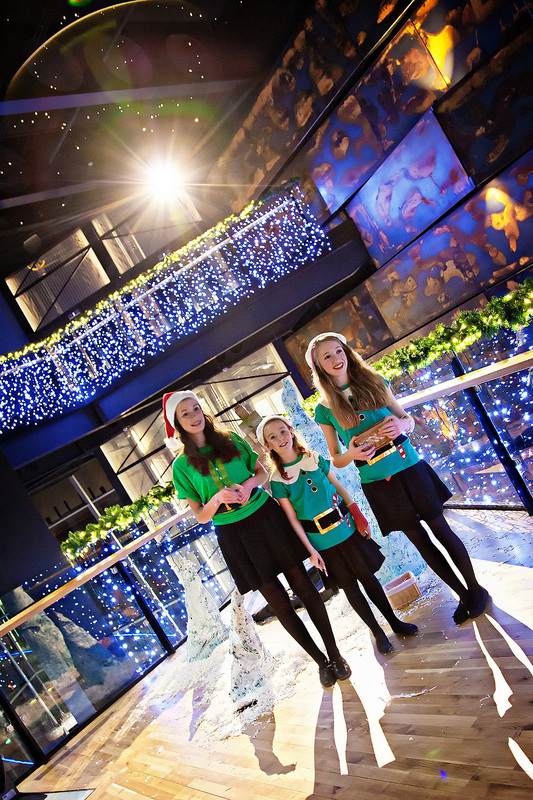 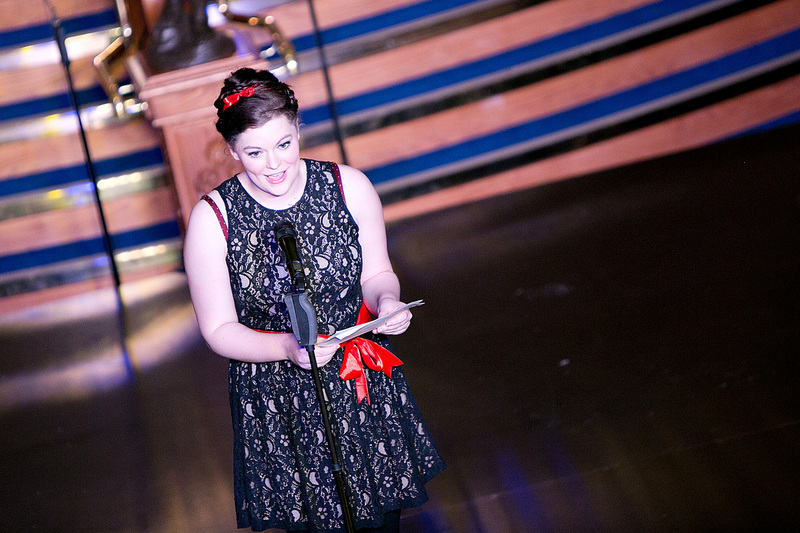 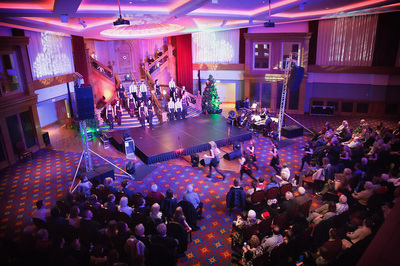 On December 23rd 2013 we had the wonderful opportunity to produce our very own Christmas experience at the world renowned Titanic Belfast. 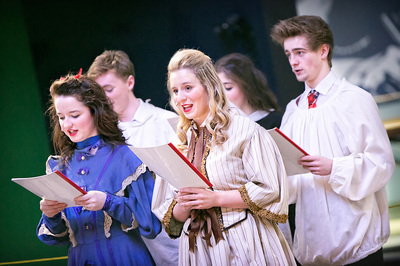 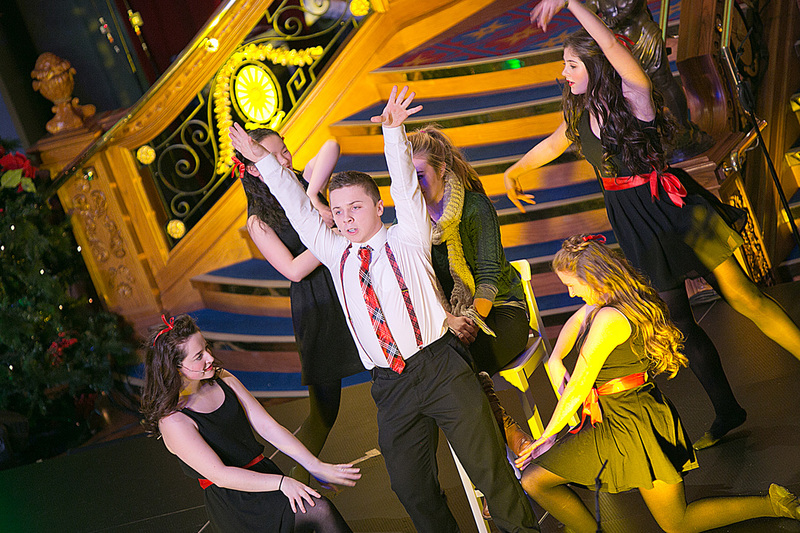 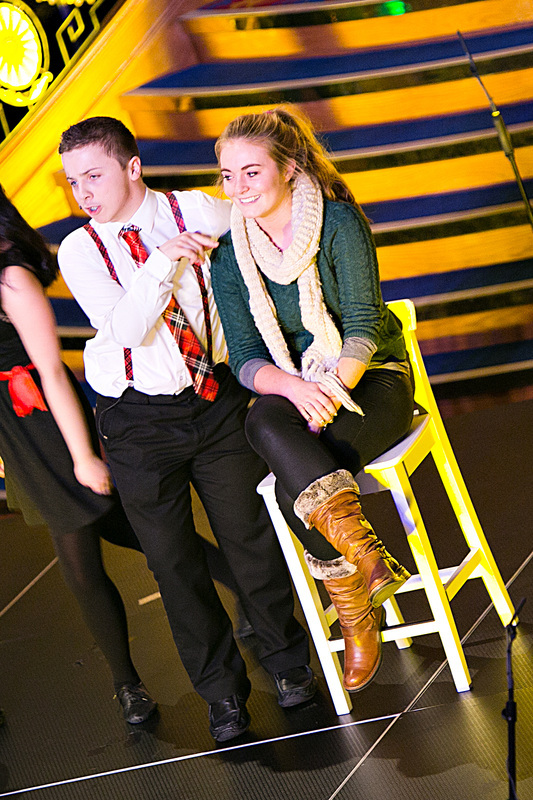 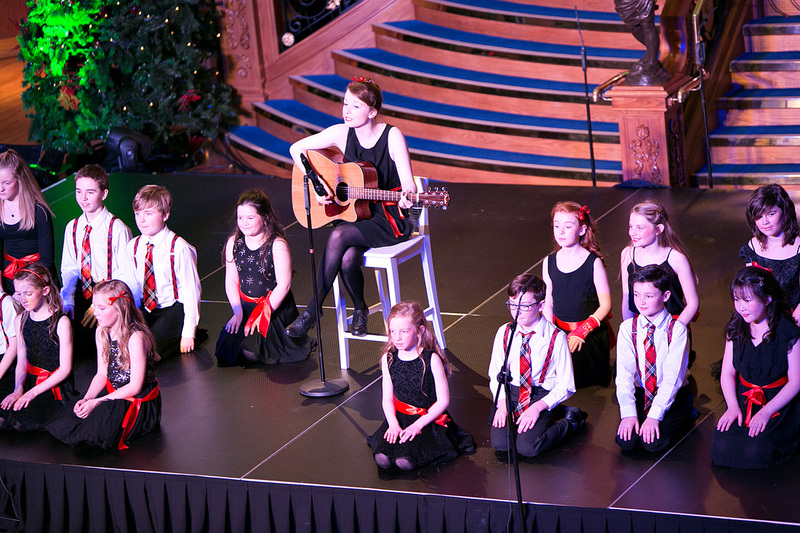 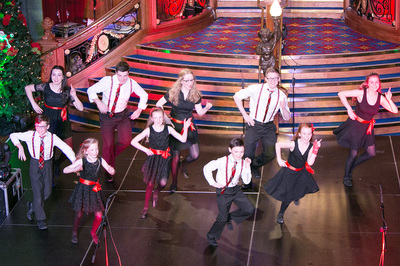 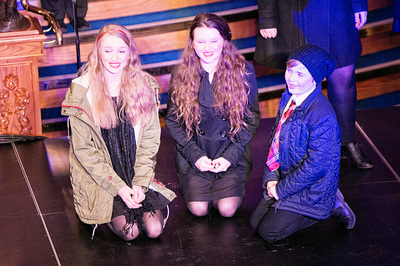 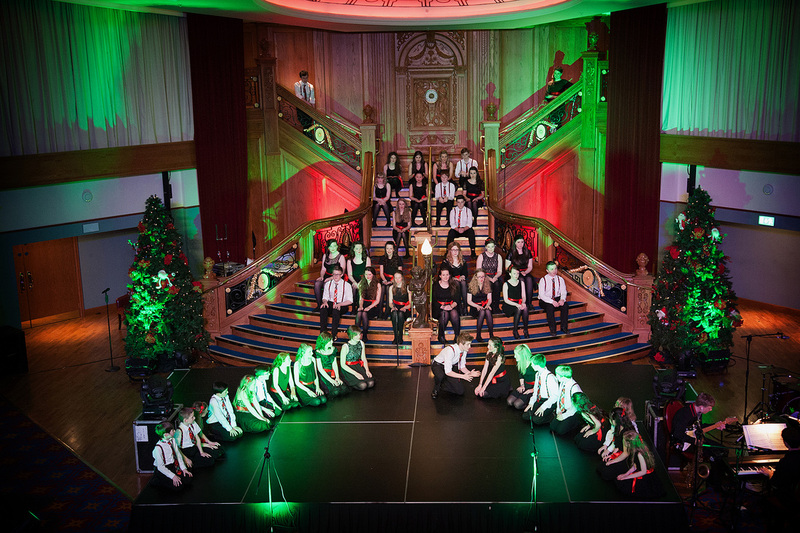 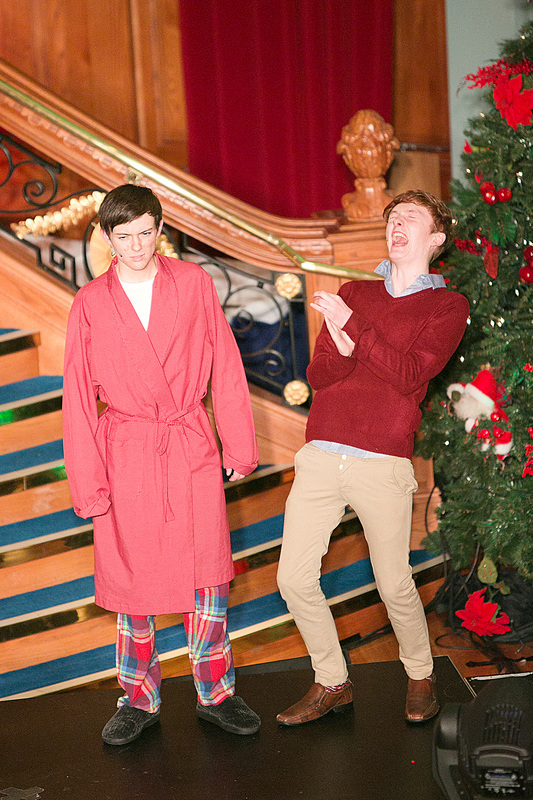 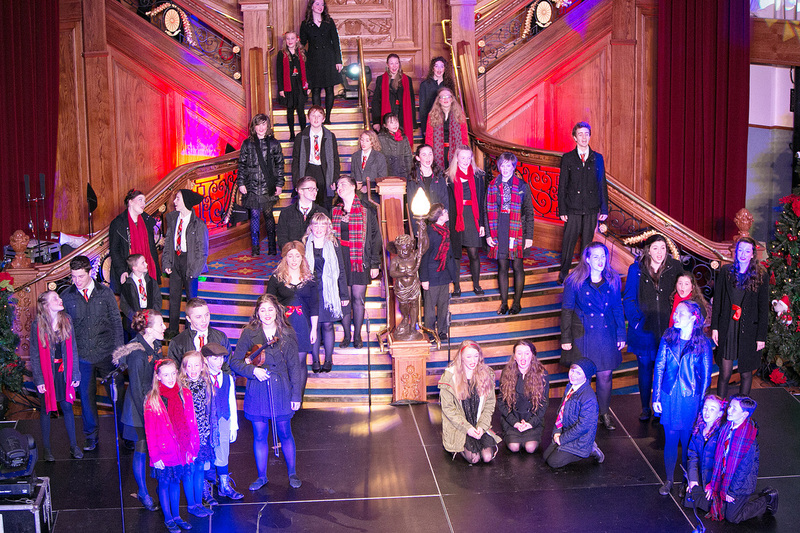 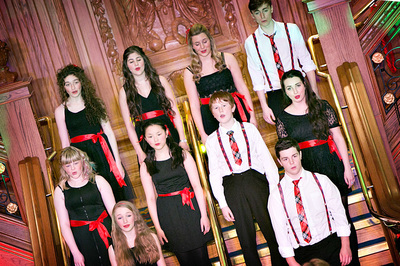 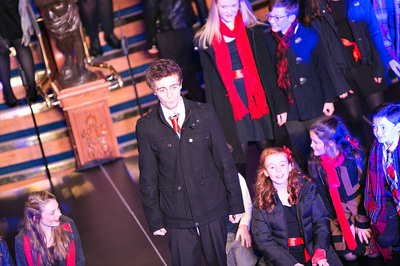 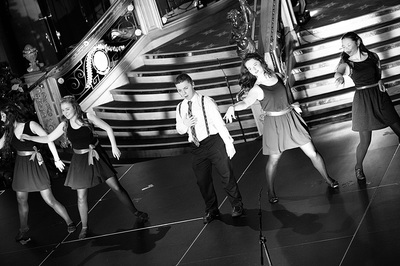 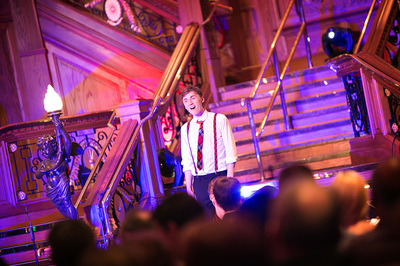 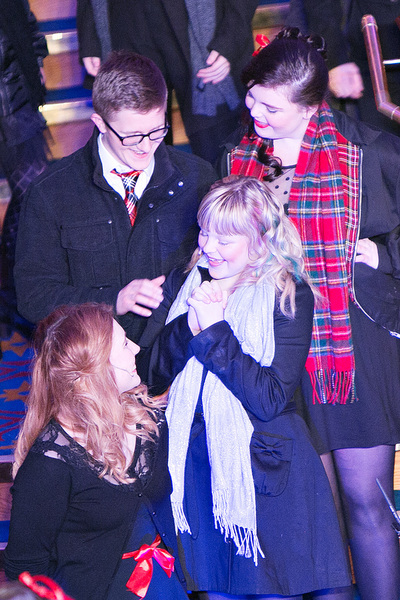 Our members had the opportunity to perform in front of over 500 friends, family and supporters of Ravara Productions on the picturesque Titanic staircase in a evening full of festive cheer and excitement. The evening was a truly magical experience for all involved. 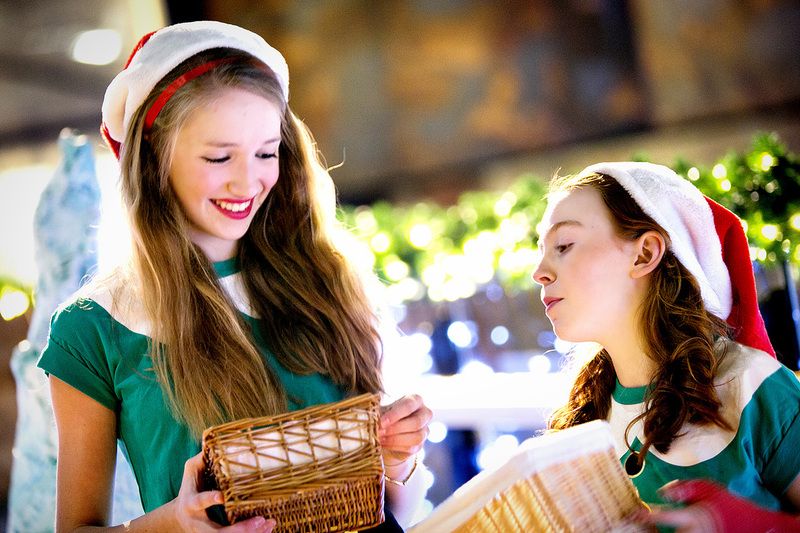 As soon as the audience members walked through the door, the festivities began with our fantastic carollers, and our very own Ravara Elves were own hand to pass out some festive nibbles. 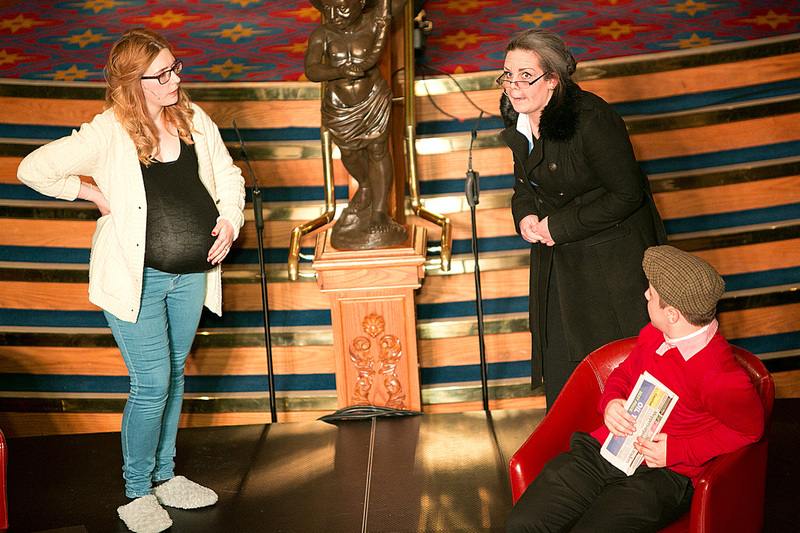 Our audience members then continued their journey to our wonderful ‘Christmas Stall Village’ made up of innovative local traders, with exciting products ranging from homemade wooden instruments to handcrafted pens! 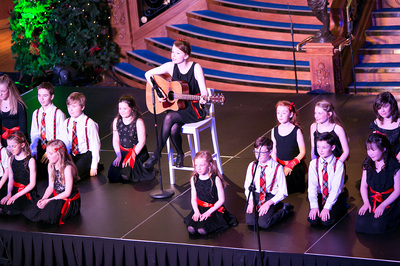 The performance began with some wonderful songs such as “When Christmas Comes To Town” and “My Favourite Time Of Year” sang by Michael Nevin and Matthew Campbell respectively. Aside the fantastic singing, there were also displays of lyrical dance from Alex McClune and Megan O’Callaghan, festive poetry reading and a short drama based on family life at Christmas time. 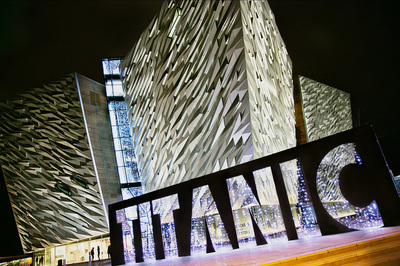 A special thank you must go to Titanic Belfast and all of their help in accommodating us and making our plans for a Festive Evening a reality, the success of the event could not have been possible without their help. Our superb members showed, once again, the immense amount of talent they have. 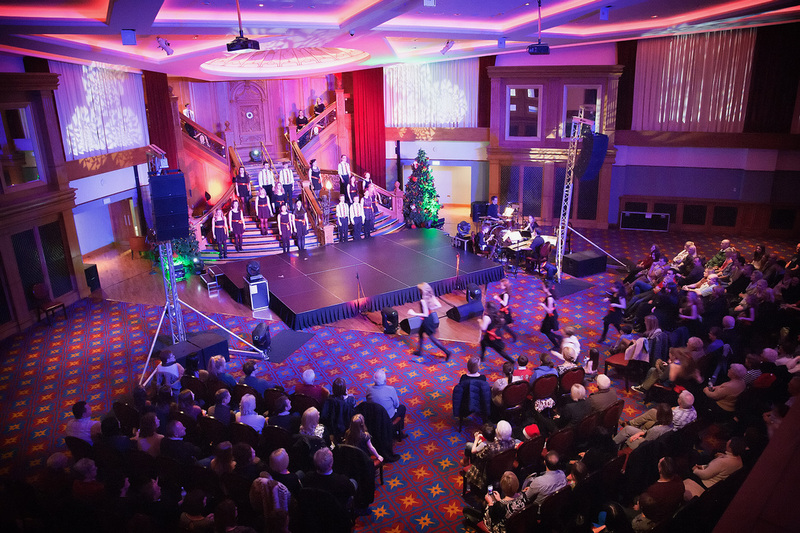 Finally, we have to thank all of the audience members who came along to A Festive Evening With Ravara, without this ongoing support, the evening would not have been such a success. 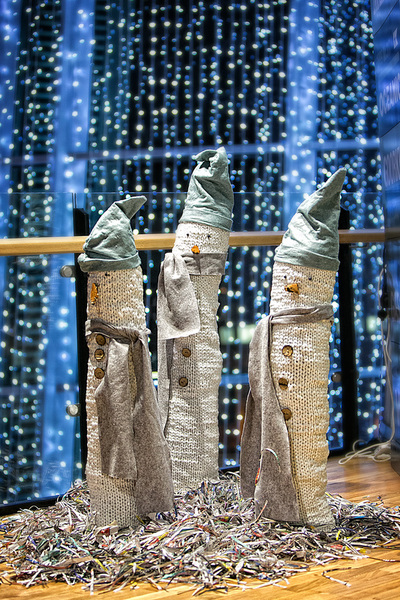 From everyone at Ravara, thank you for starting you Christmas with us!